The Indian securities regulator releases 'Regulation 31'. This new legislation makes it compulsory for all companies listed on the stock exchange, to share certain information with the regulator - every three months. Now, typically, these filings are full of dry shareholder information and the kind of facts only government departments could get excited about. In 2012, in a 'regulation 31' filing that Kenneth Andrade (someone who's often called India's answer to Peter Lynch) took a big position in MRF. The filing noted that he increased his holding to more than 1% of the company's total shares. Over the next four and a half years, the stock soared an incredible 517%. That's enough to turn a small investment of Rs 10,000 into Rs 61,700. Or one lakh invested into over 6 lakhs! On another occasion, a 'regulation 31' filing for TV Today noted that the promoter of the company was quietly increasing his stake in the company. A promoter buying into his company is usually a good sign – these guys have an inside track to company developments and announcements. In just over 5 years, the stock soared 315%. A gain that would have turned Rs 10,000 invested into Rs 41,500 or Rs 1 lakh into over Rs 4 lakhs! The company stock zoomed 976%. That kind of swing turns Rs 10,000 into Rs 107,600 in just 3 and a half years. Investors who'd been quick on the uptake and invested a lakh into the stock…would have walked away with more than TEN TIMES their money! In November 2015, this little-known ‘backdoor method’ was made a matter of public record. Not that most private investors would have known. On 6th Jan 2014, a 'Regulation 31' filing revealed that a big mutual fund house was increasing its stake in MCX - an Indian commodity exchange. The stock went up 127% in just under three years. But what's even more impressive is that many times when a Regulation 31 filing reveals heightened institutional interest in a stock, that stock soars. I'll explain why, in a minute. What's important right now, is that you act quickly on this information - or risk losing out on huge potential profits - like the ones I've just shown you… where investors who'd gotten in and out at the right time, could've made gains of 514%, 305%, even 976%…in just a few years. In a moment, I'll show you exactly how you can use this information to detect stocks that could potentially boom in the months and years to come. And I'll offer you the chance to receive details of the top three 'Regulation 31 stocks' to invest in right now — direct to your inbox. But before I get to that, I want to show you exactly what these 'Regulation 31' filings reveal. (And how you can download them yourself). The average investor never even sees these 'Regulation - 31' documents…and even if they did, they wouldn't really know what to look for. For instance, right after it was revealed that a major investor bought a huge stake of Sundaram Finance - a higher than 1% holding - the stock went up 514% in 5 years. That's like growing money by 35% every year – turning Rs 100,000 invested into over Rs 6 lakhs! In just 3 years, the stock boomed 172%. That's nearly 2.5x earnings in 3 years! But what – exactly – are these 'Regulation-31' documents? The author of the hugely popular investment Bible, ‘100 Baggers’ – this man is a whizz at zeroing in on stocks that have multiplied 100 times or more. He’s tracked, researched and taken apart 365 different stocks – each a 100-bagger – to put together this guide, which is an everyman’s approach to finding excellent stocks. Proponent of the famous theory, ‘Heads I win, tails I don’t lose much’, this investor who grew up in Mumbai, had never heard of Warren Buffet until he was 30. But he once paid $650,000 for a charity lunch with Warren Buffet, and the chance to pick his brain. Having taken Buffet’s wisdom to heart, this investor has made calls that have made profits north of $30 million. He doesn’t take well to the limelight – but this investor identified multi-baggers like Avanti Feeds, Eicher Motors and Vaibhav Global early. One of his picks went on to give gains of 1,015% in 4 years. He currently manages assets worth $1.5 billion. This Singapore based portfolio manager prophesied a record high for the Nifty in February 2017, right after the Union Budget. Some of his picks rose as high as 86% in the few months following this. To most people it's just another boring legal document. In fact, when it comes to extracting any meaningful data out of these 'Regulation – 31' documents, they might as well be in Greek! You see, anytime anyone purchases a holding of 1% or more of any listed company's shares – the company is required by law to disclose it. This disclosure happens in with a special kind of document - a Regulation 31 filing. The filing also contains details of the proportion of shares the promoter of the company holds – and the proportion held by members of the general public. If a promoter is quietly shedding shares they own – they're probably leaving a sinking ship. On the other hand, a promoter loading up on shares of their company is a sure sign of something big in the offing – something that can get the share price shooting up. Then there's something else - instances of what are known as 'block deals' and 'bulk buying'. Briefly, block and bulk deals are specialized transactions where a single investor or institution buys a large volume of shares in a company. The person behind the deal was a mega-rich investor – someone you're bound to have heard of. The stock went up 405% in 2 years – compounding at an annual rate of 123% - turning Rs 100,000 invested into Rs 505,000. In March 2013, a mega-rich investor I can't name here bought into Ashiana Housing. A 'regulation 31' filing revealed that he grabbed more than 1% of this little company. Enough to have turned Rs 1 lakh into Rs 4.68 lakhs…in all of 4 years! That's like growing one's money at 47% a year. Of course, if one had been slow to act on this info – the potential profits would have been considerably lower. For instance, if anyone had gotten in a year after this information was released – they'd 'only' have made 127%. Get in 2 years later…and one would actually have lost 48%. That's what makes acting on this 'Regulation 31' information urgently so important. "If I Could Just Get My Hands On One Of These Documents, I'd Have Everything I Need To Start Making Regular Profits…"
That's the official site for the Bombay Stock Exchange – and it looks something like this. Then you search for the stock you want… Out of more than 5000 companies listed on the BSE. Then, when you find the stock and you want to check out its potential, you have to scroll down to the bottom left of the page, where among a ton of other information you'll find a link to download the company's 'Regulation – 31' filings. Not every filing yields something profitable. Just so you know: there are roughly 7,000 companies listed on the Bombay Stock Exchange and the National Stock Exchange combined. Every company releases 4 of these reports every year – so that's 28,000 documents – just to begin with. Even if you were magically able to scan 28,000 documents in one go – how would you know which companies were going to present the best investment opportunities? So how would you separate the high potential investment opportunities from the dogs? Can you make head or tail of it? As you can see, these forms are virtually unreadable to most people. Extracting any meaningful data from this jumble of figures, cells and tables is nearly impossible. On top of that there are thousands of these forms being generated every quarter. Around the last Monday of every month, with your say-so, I'll have a private email sent to you. And the gains one could reasonably expect. This alert is sent, every month, without fail – of course, there may not always be a stock to buy, or some months there could be more than one. In the last one year, this exclusive service has already identified the names of 13 such powerful stocks – handing readers like you the chance to profit in the weeks and months to come. You see, as I write this, the newest 3 'regulation 31' trades have been identified. I'm ready to release the details of these stocks right away. Who are the super investors of India? What is their secret? Which stocks are they buying? And is there a way to track their investments and replicate their success? When 'Regulation 31' was passed – Kunal knew he had hit gold! He has met with – and picked the brains of –5 of these 'super investors'. Just last year he travelled to Pune and spent 3 days understanding the rationality and follies of human minds. with Prof. Sanjay Bakshi, at his workshop, Behavioral Finance and Value Investing. Besides attending various seminars where Super Investors talk about their investing process and stock picks…Kunal has also met with many of them to try and understand how they invest. It hasn't always been easy convincing them to part with their investment secrets – but Kunal's followed some of these people for years now. It helps that he's a value investor at heart too! . And just last month, Kunal had driven to another of our super-investors, Rajeev Thakkar's office in Nariman Point, to have a chat with him. He'd even written to his readers, telling them all about the meeting. Information provided herein below on India's Super Investors is based on facts and figures publicly available. We may have met a few of them; however, there is no association between these Investors and Equitymaster. They do not endorse any of our services and have no financial interest (direct or indirect) in Equitymaster. Now, if you haven't heard this name...don't worry. And if you have, then you are definitely amongst our more informed readers. 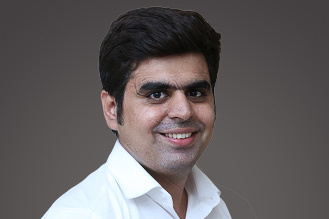 Sumeet Nagar is an IIT (Bombay) graduate who went on to do his MBA degree in Finance and Entrepreneurial Management from Wharton School of Management, Pennsylvania, United States. In fact, this is the exact same school that Warren Buffett graduated from! Thereon, Mr Nagar spent over a decade managing money for some of the richest clients around the world. And today, he runs one of the India's Best Performing Funds - Malabar Funds. Some of Malabar's best picks have included stocks like Page Industries, Hawkins, Cholamandalam, Eicher Motors – all former small caps that are now giants. We will be tracking Sumeet's Investments, made under this fund, to find out the best investment opportunities for our readers. Now, if you've been following Buffett, you might have heard About Mohnish Pabrai. An Indian-American businessman, author, investor and philanthropist who currently is the managing partner of Pabrai Investment Funds. The reason I said that you might have heard of him is because in 2008, Mohnish Pabrai understood the importance of following Investing Gurus. And he made headlines by bidding US$650,100 for a charity lunch with Warren Buffett. And since then, he hasn't looked back. Cloning Buffett and his longtime partner Charlie Munger's investing strategy, Pabrai has created a name for himself on the global investing platform as an expert investor. We will be tracking Mohnish's Investments in India, under this fund, to find out the best investment opportunities for our readers. Mr Akash Prakash is an alumnus of IIM Ahmedabad and has an impeccable stock-selecting track record. Currently, he is the co-founder and CEO of Amansa Capital Pte. Ltd. But what makes him one of Top Investing Gurus of India is his long track record of managing portfolios. In fact, he was ranked among the top 20 Fund Managers in Asia by Asia Money in 1999. And in 2004, he was amongst the top 3 by Indian corporates in Institutional Investor's "Best of Buy-Side" survey. To date, he has a knack for picking winning stocks, one after another. According to Economic Times, many of his stock picks - including Cholamandalam Investment, Edelweiss Financial Services, Bharat Financial, and Ashok Leyland - have more than doubled in a couple of years. Besides an enviable track record, Akash's investing philosophy resonates with our own in-house approach. We will be tracking Akash's Investments, under this fund, to find out the best investment opportunities for our readers. Now, these are just 3 of the 40+ people we have identified as India's Top Investing Gurus. Investing Guru #6: Sanjay Bakshi: An MBA professor and practitioner of value investing and behavioral economics. Investing Guru #7: Ashish Dhawan: A leading private equity investor and philanthropist who founded and ran one of India's leading private equity funds. They are people who know what they are doing, put it that way. For instance, way back in 2008, the paints industry was bleeding badly. Investors were avoiding these stocks like the plague. But Kenneth Andrade, one of the super investors we've been talking about, thought differently. Amid criticism and uncertainty, he stuck to his guns and bought a stake in Asian Paints. Asian Paints is up more than 10 times since then and is a household name. Mohnish Pabrai, another of the super investors Kunal tracks, believes in the famous theory, 'Heads I win, tails I don't lose much'. He's made a number of terrific calls over the years – and hardly ever lost money. Some of his calls include Page Industries, MRF, Bata India – all big winners! But just because a 'super investor' is upbeat about a stock, that doesn't mean Kunal is going to follow up on it. 'Super' as they may be, these investors are only human, and they make mistakes too. Take Manpasand Beverage, for example. No less than eight big mutual funds held a large stake in this beverage company – including names like Motilal Oswal, SBI Magnum and Baron Fund. What no one realized however, was that the company's dealings weren't entirely above board. There was something fishy going on…which came out in the open when the company's auditors resigned. The minute this news hit, the stock sunk 50%...and continues to hit new lows. Kunal made sure to keep his subscribers away from a such a questionable stock – his research threw up some red flags. There've been other instances – Punjab National Bank, Vakrangee, PC Jewellers – where Kunal kept away from dicey stocks that super investors took large positions in. Why am I telling you about Kunal, though? Well, Kunal is the editor of Smart Money Secrets…an exclusive stock recommendation service I publish. He, with his team, has been guiding a small group of subscribers to lucrative investment opportunities - opportunities 'copied' from some of India's very best investors. Often, when I tell people about this secret investing strategy - they ask me if it is illegal. It doesn't seem legal — or even ethical. The idea of making roof-busting returns, growing wealth in leaps and strides – well, I'm with you if that seems a little too 'fairytale-like'. But it is precisely because we think like this — that very few investors in India have been able to exploit this strategy. A strategy that has almost single-handedly brought in back-tested gains like 172% on AIA Engineering, 127% on MCX and 514% on Sundaram Finance in a few years. Ok, a lot of this data isn't readily available to the average investor — and even when it is, as I've just shown you, pulling actionable directives from it is nearly impossible. The Smart Money Invested score gives companies a rating based on how many investing gurus are backing it with their own money. Now of course, the higher the number of super investors interested…and the more the money involved…the better the business. This is an extremely critical parameter because it allows us to test the fundamental strength of the business. So, we'll look at the financial reports, judge the past performance and then decide on this rating. A moat is a sustainable business advantage — the single differentiating factor that gives a company an edge over all its competitors. Take Coca Cola for instance…despite the dozens of soft drink brands available in the market, Coke commands a much larger market share. The reason? Consumers identify with Coke and prefer it over generic brand drinks. Now that's a moat that's hard to cross! The Smart Money Score seeks to identify companies with wide moats…that are miles ahead of the competition! This parameter calculates the Promoter's holding in a business. The higher the holding…the higher the involvement, of course! This tells us how much confidence a promoter has in his company…and in turn how much we should have. One of the best indicators to judge how efficient a business is – is to see how they manage their capital. A financially strong company will always have good prospects in the long run. Compare that to companies with CEOs who allocate huge capital to unimportant details – and you have a recipe for disaster. You know which one you'd back out of the two. That's exactly what the Smart Money Score checks for – among other things. This parameter scores a business on how well they are able to manage their cash flow and tests the fundamental strength of a business. Finances are the core of a business…if a company doesn't handle cash flow well, there are very little chances of success. We look for business models that are easily scalable…and can grow well! A business that has the potential to scale and create even more wealth for its shareholders is a business any smart investor should consider. Now, this doesn't mean that we will ONLY be looking at Big Blue chips. A business could have a market leader position in its tiny sub-niche and thus, score high points on this parameter. Now, following super investors doesn't mean copying every investment they make blindly. These investing gurus often have crores of capital to play with…and can afford to take risks you and I can't…and shouldn't. Not investors like you and I. And of course, rich, successful investors tend to have positions in hundreds of stocks at the same time. That's why Kunal uses a proprietary tool to identify the investments he thinks carry the greatest potential to make money. He looks only for solid stocks – stocks that are rooted in strong company fundamentals, healthy balance sheets and spotless management. Stocks that have the potential to deliver market-beating returns. This is why every stock that shows up on the radar of Smart Money Secrets is first put through a thorough, 8-point check. The Smart Money Secrets team carefully scrutinizes every possible recommendation…checking for red flags like poor management…a failing business model…cash flow issues…and other signals, using a proprietary tool Kunal calls – Smart Money Score. Kunal will ONLY recommend a stock to his subscribers if it passes this strict checklist…and that's AFTER a stock is thoroughly vetted by super investor interest. Using the Smart Money Score tool has helped us sidestep many dicey stocks, and detect sound stocks with mega-profitable potential. And even…976% in 3.5 years on Astral Polytechnik. In a minute I'll show you exactly how you can join Kunal's subscribers. As soon as you sign up for Smart Money Secrets – you'll receive a brand new exclusive report called TOP 3 REGULATION 31 STOCKS. Kunal has urgently put together a special report – containing the names (and details) of the 3 'regulation 31' stocks to invest in now, for maximum profits. The first of these is an automobile parts-specialist that has caught the fancy of one of our super investors, Sanjay Bakshi. This company traces an important pattern – one Prof Bakshi believes is an important indicator to the success of a company. In other words, this company has a "low cost of ownership, high cost of failure". The second is a niche IT company that fits in with Warren Buffet's and Charlie Munger's directive of "finding great companies with stellar management, just when they are starting out". The third, is a 100-year "young" company that recently underwent a positive change in top management. This business has been focusing on its core strength for a century and has very strong potential. When you join Smart Money Secrets, you'll receive a new Smart Money Secrets Exclusive Report on the last Monday of every month. Each report could contain a fresh stock recommendation…or more. And times Kunal will recommend more than one new stock – if there is an abundance of solid, undervalued stocks in the market! Once a Smart Money play has been recommended, our dedicated Smart Money Secrets team will monitor the position closely…watching for any signs of movement. You'll receive special urgent alerts when it's time to book profits on a stock, or to sell a stock if something untoward happens. For every stock that Kunal and his team recommend at Smart Money Secrets, you'll receive a free monthly performance review. Kunal will distill every key factor likely to affect the performance of these stocks, and share them with you in these performance reviews. This way you won't spend sleepless nights worrying about fluctuations in the stock price. You'll also receive access to our ongoing research on open recommendations under Smart Money Secrets, so you can keep tabs on how these stocks are performing and make informed decisions when the time comes to enter or exit a stock. Kunal and his team keep a hawk eye on the market…and are quick to spot signals and opportunities that others often miss. Any time one of these unique signals crops up…an urgent, detailed report will be put together – and rushed to you immediately. He rushed out a special report with the details of these mega-trends – and 3 stocks to consider investing in – to his subscribers right away. (Once you subscribe to Smart Money Secrets and log in…you'll have instant access to this report). The truth is…Smart Money Secrets is an exclusive service - designed for those who like to make smart investing decisions. These are ideas and recommendations that could throw up triple and even quadruple digit gains – as you saw for yourself. Where else in India could you discover stocks with the potential to turn 1 lakh into 3 lakhs, 6 lakhs…even 10 lakhs in a few years? These kind of gains aren't easy to deliver. …Leaving less than 90% of the stocks he started out with. This leaves a solid basket of stocks for Kunal to consider. And he only recommends the best to you – he's very particular about this. A full year's subscription to Smart Money Secrets comes at just Rs 500 a month…or Rs 6,000 a year. That adds up to a total value of Rs 68,280. Of course, the freebies are not what most subscribers join for. The most valuable part of Smart Money Secrets are the expert stock picks you get – stocks that are capable of doubling, tripling even quadrupling one's wealth in a few years. Next to gains like those the subscription price of Rs 6,000 is a drop in the bucket. I want everyone to be able to take advantage of Smart Money Secrets – particularly the aam investor. That's why I want you to have access to all of Smart Money Secrets' recommendations – and all the bonus gifts I mentioned – at just 50% of the price. That's an annual subscription fee of Rs 2950 – or Rs 245 a month! Now I'm not making any promises, but one could easily make back that amount many times over…on just a few of Kunal's picks. Personally, I think that's a great deal. I urge you to drop me a line immediately. Which is why, you're free to cancel your subscription ANYTIME during your 30-day unlimited access trial! …I WILL PERSONALLY ISSUE A FULL AND COMPLETE REFUND. If you're not satisfied, I'm not satisfied. And I refuse to take a single rupee of your money! I'd also love for you to keep your special reports and everything else you get with your subscription, as a 'thank you' gift for trusting me enough to give Smart Money Secrets a try. If you'd like to keep being a part of Smart Money Secrets (as I'm sure you will), you don't have to do a thing! Your access to all of our research and archives will continue uninterrupted for as long as you like. Better still, we'll lock in this highly discounted rate for you- for as long as you wish. That means unless you tell us otherwise, your card will automatically be charged for Smart Money Secrets at this rock bottom price of Rs 2,950 per year for as long as you want. Just write to us or give us a call and we'll cancel your standing instructions right away! In fact, I'll also ask my team to send you a reminder email before we charge even a rupee on your credit card…just in case you wish to change the card or even cancel. The next time you see an offer for Smart Money Secrets it will most likely be at the full, official price. by subscribing to Smart Money Secrets. If I were you, I'd act NOW. I promise you won't regret it!